When you are planning to integrate a POS system with QuickBooks, you should always look for its benefits. Once you have chosen the right system, you can save time as well as money. 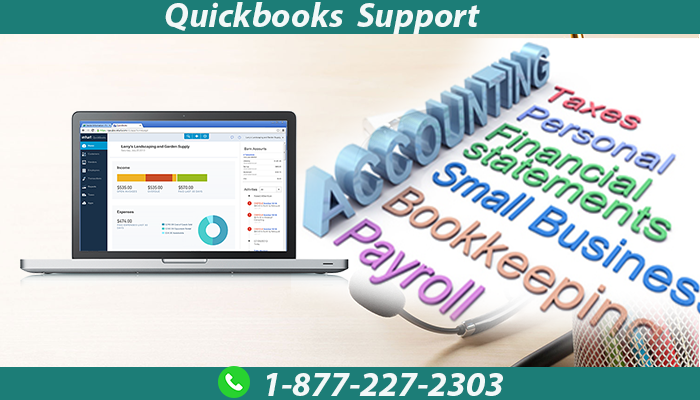 In case any issue arises, then you can get in touch with the QuickBooks technical support team. Here are some of the POS systems that you can integrate with at least one version of the accounting software. If we have to describe ShopKeep, then it’s nothing but an elegant and a simple system developed for a small-scale business. While the business owner considers it to be the best system, he would be able to manage inventory of 10,000 items. The system not only boasts a user-friendly design but also has numerous back-office features. You don’t need to go through training sessions because ShopKeep has an intuitive in-app functionality. Apart from keeping a track of the employees’ time, the system aids you can keep a record of all transactions. Additionally, the user can set different tax rates to specific items present in the inventory. If you are thinking about offline POS functionalities, then Vend is what you need to go for. As the system maintains a contact list, customer management becomes quite easy. With Vend, you can easily remove or add items. Depending on the offers, the location and the customer, you can set different prices to the items. Apart from everything else, you can track the employee’s performance and carry out tasks pertaining to cash management. Once you start using ERPLY, you can process credit card and check payments with ease. Owing to the shipping module, you can receive quotes from reputed firms like FedEx and UPS. Purchase orders can be created in the desired format with the company’s logo. When the stock level decreases, ERPLY automatically sends purchase orders to suppliers. In order to get a better idea of the purchases, the system lets you generate purchase reports at any instance. Known to be a mobile-friendly POS, SalesVu is simple to use and is sure to enhance the user experience. As you manage the inventory most of the time, you can search items by typing the SKUs or scanning the barcode. Once you have created a receipt, you can customize it with the company’s name and the logo. The SalesVu backend aids to upload items and track the stock level. When theirs is no item present at the warehouse, then you can use the out-of-stock setting. Talech is yet another POS system which can be integrated with any payment processor. Apart from the usual function, the system helps to make partial payments and manage cash with the help of the cash drawer. Complex products such bundles can be created as items are synced across multiple locations. Kounta is nothing but a cloud-based POS system which offers a fast payment option. As the interface has a front-end and a back-end, you can easily change the discounts and delete or alter sales. The reporting techniques help to keep a track of the stock level, profits and the sales. As think about adding new employees, Kounta verifies the individual through the email address. If you are busy and you can’t manage payroll efficiently, then you should contact the QuickBooks payroll support team by dialing the help desk phone number, 1-877-227-2303. Hope you would be able to select the best POS system based on your requirements. It’s better to go for direct integration with QuickBooks because it increases adaptability and reduces errors once the data is synced.